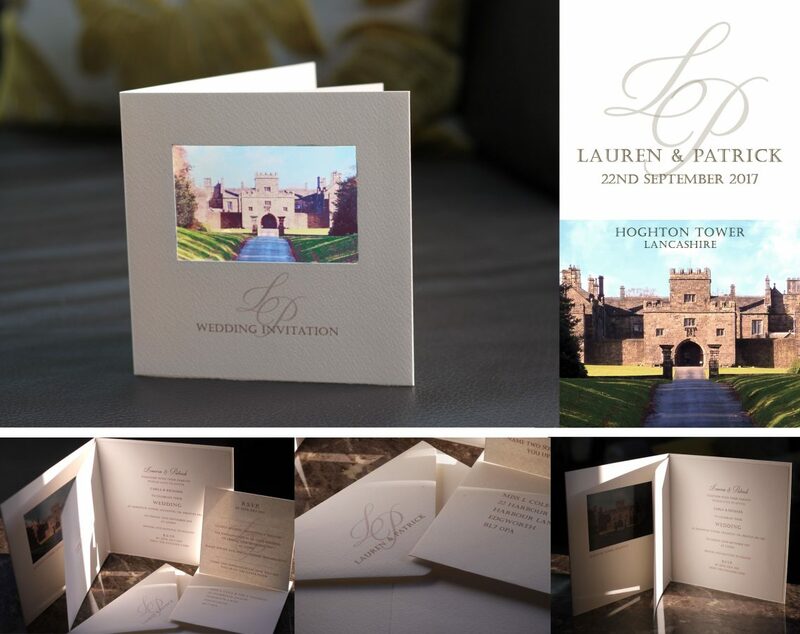 Hoghton Tower, Lancashire was the venue for these wedding invitations we created recently. We created all the stationery ;- invitations day and evening, table stationery, order of the day and thank you cards. We used a personalised monogram across all the stationery. Printed as a watermark on the cards. Even adding guests address details to the envelopes in matching fonts. This is a photo of the thank you card we also made. 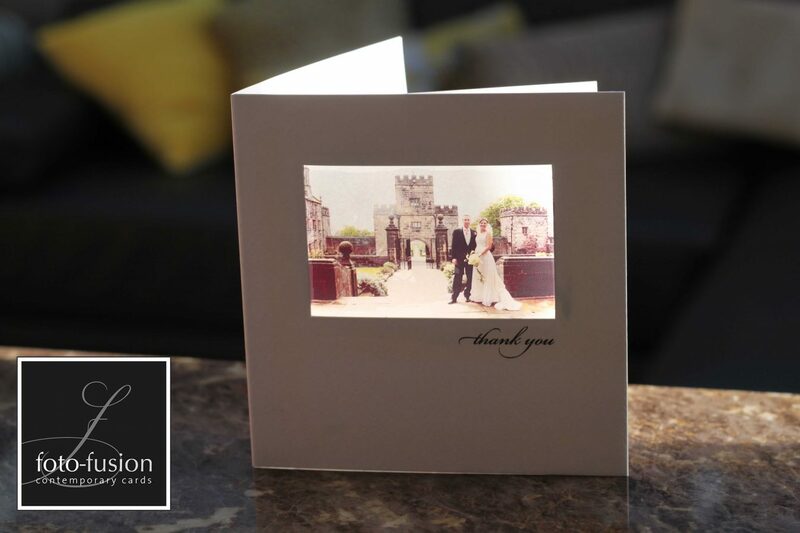 All our cards use the transparency for the photo so the effect is stunning and certainly something special.